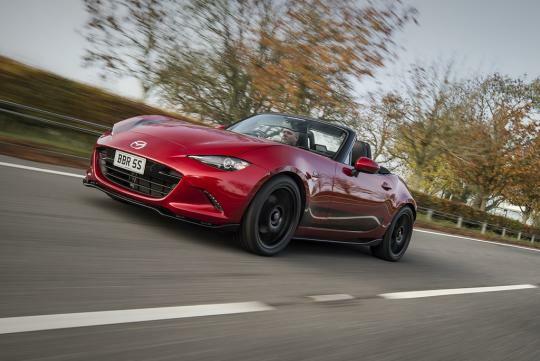 The Mazda MX-5 has been garnering many good reviews with its great handling and looks. However, some reckon it could do with slightly more power. For those who think so, BBR, one of the most well known MX-5 tuning specialists around, has solutions for these owners. Named the 'Super 160' package, the 1.5-litre variant gets an additional 29bhp and 18Nm of torque via the use of BBR’s own Starchip ECU software upgrade. This brings total output to 158bhp while the rev limit is raised to a high of 7700rpm. Using the same form of upgrade for the 2.0-litre engine, the 'Super 175+' package adds a good 17bhp and 13Nm of torque to the overall output and brings the total output to a maximum of 177bhp. Rev limit is now pegged at 7100rpm. Still not enough? 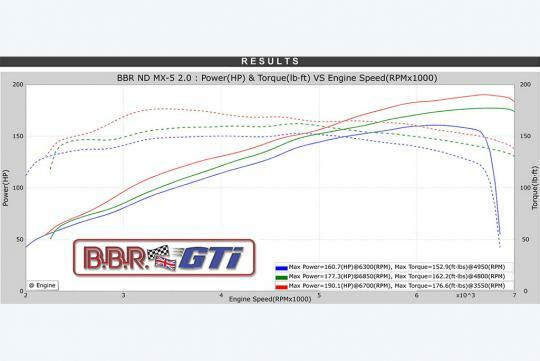 BBR can offer 2.0-litre powered MX-5 owners its 'Super 190' upgrade as its top solution for now. 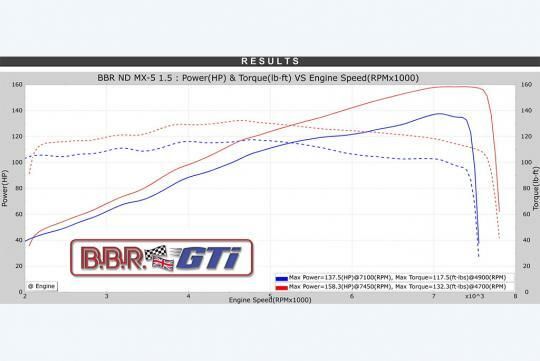 Like the name suggest, power output now stands at 190bhp and torque is now increased to 238Nm from 200Nm. To achieve the increased output, a new cold air intake system, a new exhaust system plus the company’s Starchip ECU software were used. Other than power upgrades, the company also introduced new lowering springs, new performance front brake pads and a full range of lightweight alloy wheels.